Meat specialists Hawksmoor serve only the best. But now it’s even speedier. Refreshing their fixed price menu, they’re now offering an affordable 3-course meal with a hefty price tag. During January and February they’ve Pimped the Express Menu to offer something for everyone. 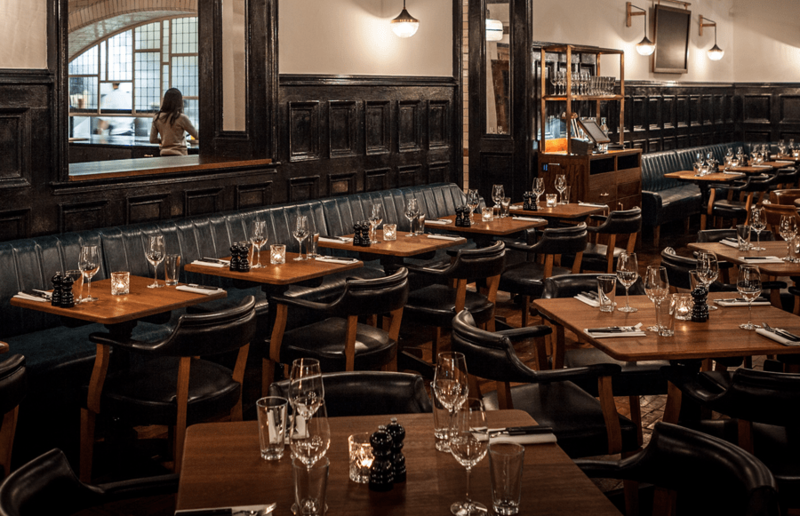 The menu features classic Hawksmoor options, like their potted beef & bacon, aged native breed steak and sticky toffee pudding, but has now been surgically enhanced with the option of the Hawksmoor burger and a free cocktail. The cocktails on the set menu are the French House Cocktail made up of strawberry Beefeater, lime, tarragon, the Tom and Jerez featuring Hayman’s Old Tom gin, sherry, pear, lemon, almond and the Hawksmoor Cup which has seasonal fruit cup and ginger ale. For starters you can pick from potted beef and bacon with yorkshires, beetroot & hazelnut salad and horseradish crème fraîche or Doddington Caesar salad with Catabrian anchovies. 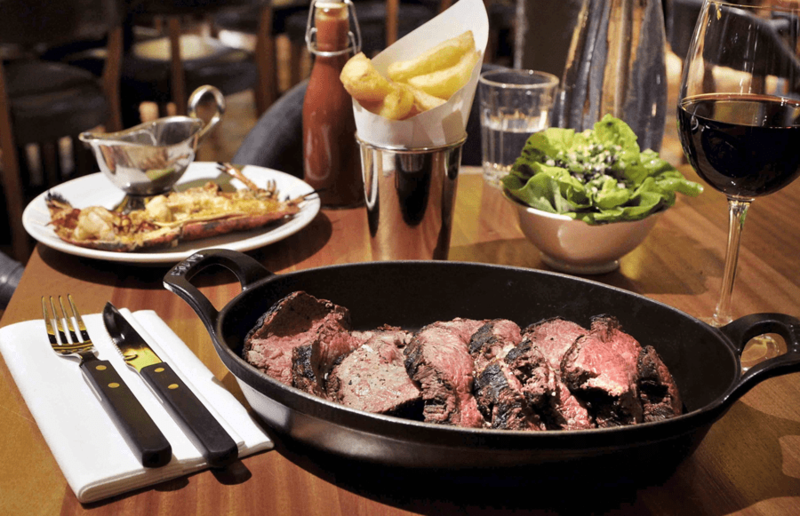 The mains are as meaty as expected, with a 55-day-aged native breed rump on offer, plus Hawksmoor hamburger with Ogleshield cheese or Colston Bassett Stilton a whole sea bream with rosemary & chilli or ash-baked celeriac with butter-roasted mushrooms. Sides are also included in the fairly priced offer with one per person, picking from triple-cooked chips, baked sweet potato, creamed spinach or English lettuce & herb salad. To finish off, you can decide from a sticky toffee pudding with clotted cream, peanut butter shortbread or ice cream sundae. Available at all their restaurants for just £30 per person, you can book now online. There’s also a non-boozy and lighter or vegetarian options available too! Visit the Hawksmoor website to find your local, or book now.